At long last, Apple is adding a way for people to pay for purchases on iTunes beyond credit or debit cards — a move that points to the company sharpening its focus on marketing the iPhone to a wider set of users. 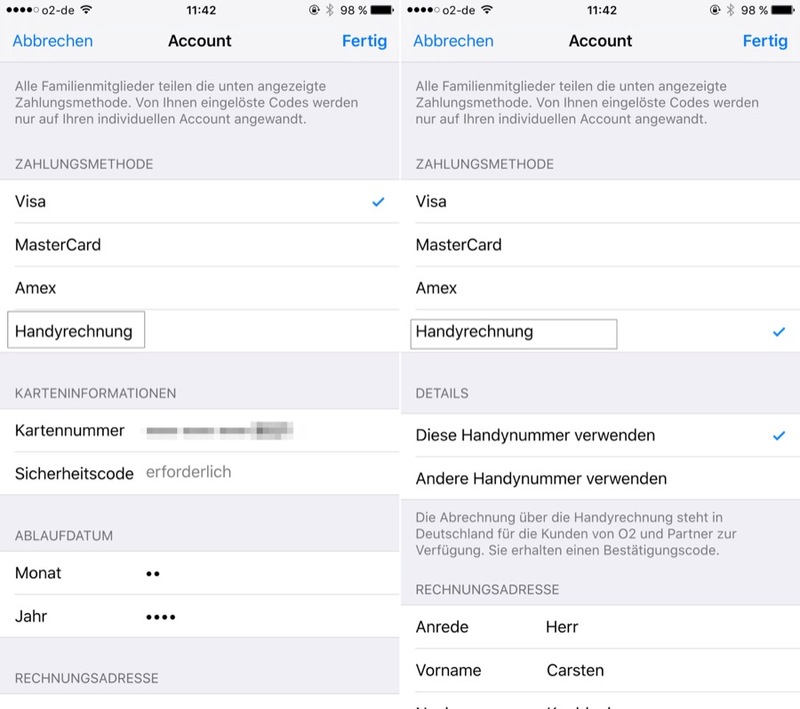 Apple — working first with O2/Telefonica in Germany — will now let people pay for items using carrier billing in iTunes. This means users can now pay for apps and other iTunes purchases by linking up their phone numbers to charge the items to their mobile bills, bypassing the need for a credit or debit card, or potentially even a bank account. If you are an O2 user in Germany, you can now enter your phone number instead of a card number into your iTunes’ account information. Subsequent purchases from Apple Music, iTunes, the App Store and iBooks are then charged directly to your phone bill, or debited from a prepaid amount that a you have added to the phone if you are not on a contract. We have contacted Apple directly for a statement, but in the meantime O2, owned by Telefonica, has confirmed that the feature has started to get quietly rolled out across Germany and will be available to all users by next month. O2 declined to say which company was providing the backend service to link up iTunes to O2’s billing machine, or what the plans may be for other markets. “Unfortunately right now I cannot give you more information,” the spokesperson said. We have heard on the grapevine that Apple had been talking with Bango, a carrier billing provider, to roll out carrier billing functionality on iTunes. Bango has declined to comment on the deal, but points out that it has been working on another implementation that lets people charge an iTunes voucher to their carrier’s bill, which in turn can be used to top up iTunes credit. Another source says that it’s not Bango working on this deal, pointing out that O2 also has a relationship with Boku, another carrier billing provider that O2 has backed financially. Up to now, carrier billing players like Bango and Boku have integrated with other major app stores, barring Apple’s. Telefonica has been working on carrier billing for years already for Android and other devices. Germany, it seems, is often used as a test market for early carrier billing services: it’s where Amazon had also first tested its first integration, with Bango and O2, in September of last year. If the Germany implementation is a success, it’s likely that the feature could be rolled out well beyond that country: Bango works with Telefonica across the whole of its 340-million user footprint. Indeed, the significance of Apple turning on carrier billing will likely be felt more in markets further afield. Carrier billing may not seem like a big deal to a lot of iPhone users in mature economies, where payment card and bank account penetration are both very high. But in emerging economies, where card use is far lower and many consumers might not even have bank accounts, a phone can essentially serve as a proxy for both: mobile users can top up their phones with cash at shops, and those phones can then, by way of carrier billing, be used to pay for goods purchased on those devices, usually under a certain limit. Apps, music and books fall well within that limit. For Apple, it could mean that it’s looking for ways of making its services much more accessible to users in those emerging markets and among a wider pool of users in developed countries — targeting demographics where the iPhone and Apple have proven to be known brands but not nearly as widely used as Android smartphones. It’s also an interesting turn of events for O2 and carriers as a whole. Operators have traditionally seen themselves as “owners” of the billing relationship with mobile users, and all the rich data and upselling opportunities that come along with it. But that situation got turned on its head after Apple launched its App Store and developed its own direct billing relationship with users by way of iTunes, and others followed in Apple’s wake. Introducing carrier billing is one way of clawing that back, at least in part: you still have to activate the billing by way of iTunes, after all, and that’s where all your purchases are made and your purchase history will ultimately reside. Updated with response from Bango and further partnership detail.